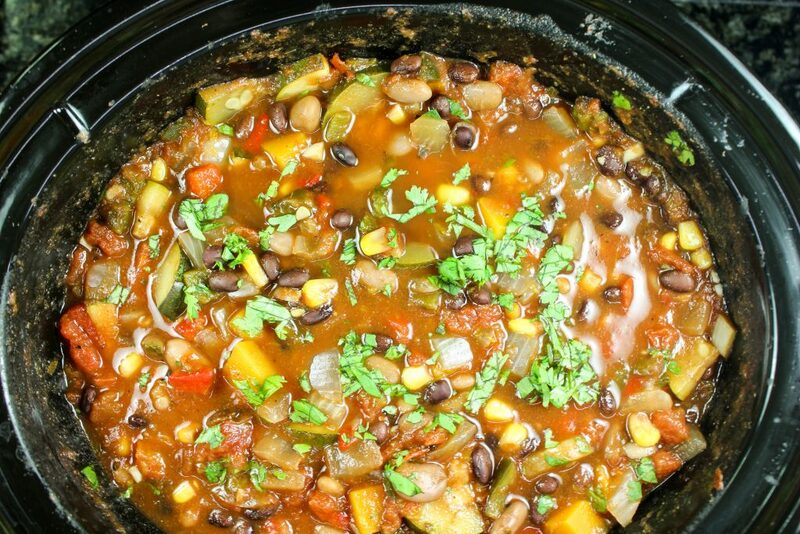 Slow Cooker Roasted Pepper Veggie Chili is packed with veggies, roasted peppers, &amp; beans with a hint of heat. Freezer &amp; kid friendly! Weight Watcher friendly recipe- 5 SmartPoints! There’s nothing better that a big pot of hearty chili on a cold day. Seriously… I secretly wait all year for days like this. I’m a sucker for chili! I honestly like all variations of chili… meat or no meat. My only rule with chili is there has to be beans. I know, I know. I’m from Texas and in Texas there’s an unspoken rule to never add beans to chili. I’m a rebel and completely disagree with that tradition :). 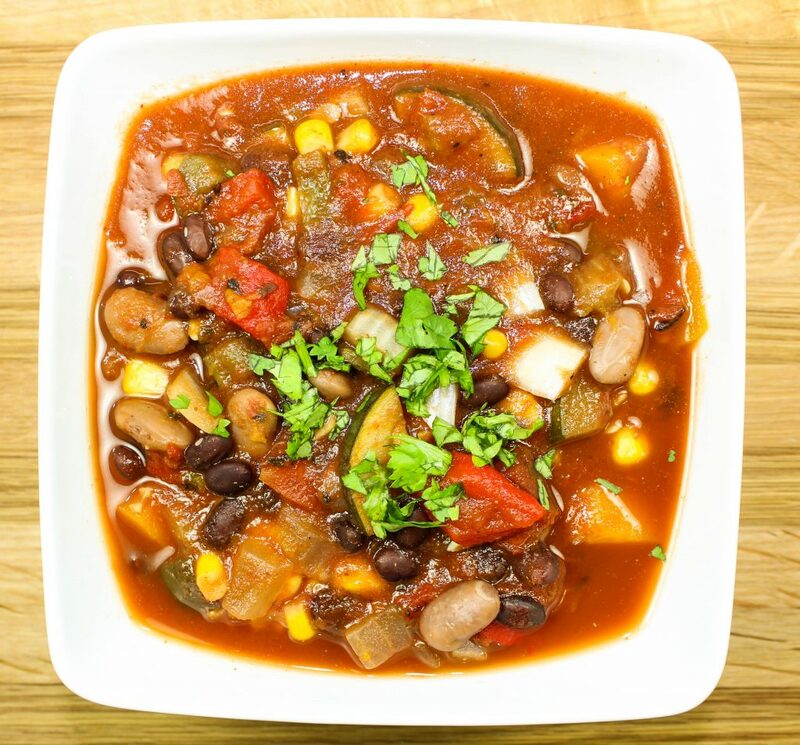 My Slow Cooker Roasted Pepper Veggie Chili is packed with hearty vegetables, roasted peppers, and two types of beans. This chili is seasoned to perfection with just the right heat that any chili needs. Hearty and healthy! This is a Weight Watcher friendly recipe and each serving is 5 SmartPoints. Chili is one of those dishes that brings back so many childhood memories. I fondly remember my mom making a huge pot of chili during the winter months on Sundays. Everyone in the house was always so excited about it! There really is nothing better than a big bowl of chili on a cold day. It’s funny to think about this memory now because in my childhood my definition of winter was sunny, 50 degree days. I live in Indianapolis now so my definition of winter is honestly unknown at the moment. Ask me about it in 2 months what my new definition of winter is! I’ve made chili so many times I cannot even count. It’s really fun to experiment with different types of chili. Traditional meat and beans, white chili, chicken chili, turkey chili, and veggie chili. So many different variations!! Sometime last year, I made a vegetarian chili with roasted peppers. Still to this day is the best variation of chili I’ve ever made. This chili is packed with tons of smoky flavor, vegetables, roasted peppers, and, you guessed it, beans! Super hearty and filling you won’t even notice there isn’t any meat. Aside from the amazing flavor of this vegetarian chili, the other reason I love this variation so much is because it’s made in a crock pot. I’m sure you can agree that during fall and winter, your crock pot is also your best friend?! The crock pot works magic y’all. It does all the cooking for you, and leaves your house smelling amazing. For this chili, there is some prep work to be done by roasting the peppers. Roasting the peppers adds an amazing smoky flavor to the chili that you wouldn’t be able to get without roasting them. Since this chili cooks in the crock pot, you can totally do all the prep work on Sunday or even the night before you want to eat it. The peppers will roast in the oven for 25 minutes. Once they are roasted, just wrap in foil and let them sit on the counter for 20 minutes or so. This sweats the peppers so that you can easily remove the skin. You can totally leave on some of the skin, but I wouldn’t leave all the skin on. Once the skin is removed from the peppers, cut of the stem, scoop out the seeds, then dice up the peppers. If you do this step days or the night before cooking the chili, just save the diced peppers in an air tight container and store in the fridge. 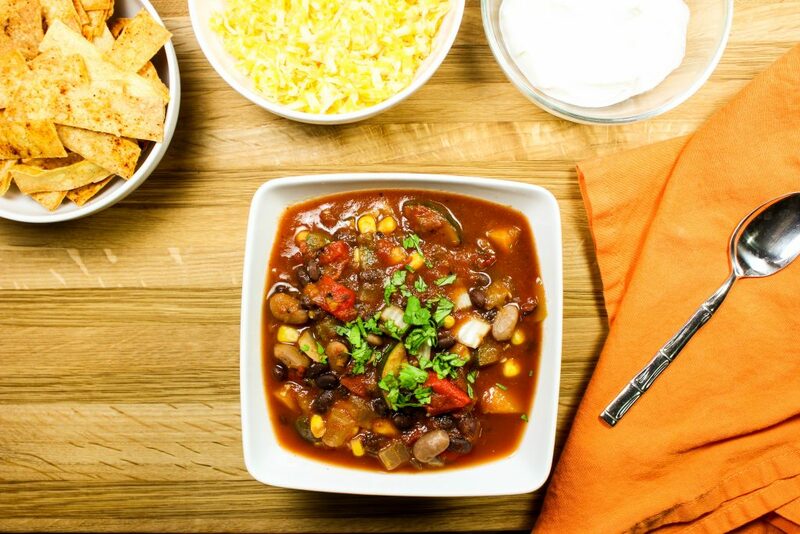 The same rule applies to the other vegetables this chili recipe calls for. You can dice the zucchini and butternut squash well ahead of time and store them in the refrigerator. If you want to make this chili on a week day, the night before add all the liquid, tomatoes, and spices to the crock pot, cover, and store in the fridge. In the morning just add the diced peppers and veggies, frozen corn, and beans to the crock pot and let it cook for 8-10 hours. Easy peasy! 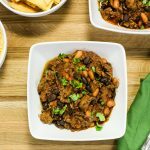 Slow Cooker Roasted Pepper Veggie Chili is packed with hearty vegetables, roasted peppers, and beans. This chili is seasoned to perfection with just the right heat that any chili needs. Freezer friendly and not too spicy for kids. I like to serve my chili with homemade tortilla strips, shredded cheese, and a dollop of fat free Greek yogurt. Spray baking sheet with cooking spray and lay poblano peppers, jalapeno, and red bell pepper on sheet. Roast peppers in the oven for 25 minutes. Remove peppers from oven and wrap in foil to sweat the peppers for 20 minutes. While peppers are sweating, peel butternut squash, cut in half, scoop out the seeds, and dice up into ½ inch cubes. Open the foil and gently remove the skin and the seeds from the peppers. Chop the poblano peppers, jalapeno, onion, bell pepper, zucchini, and garlic. Add to crock pot. In crock pot, add butternut squash, canned tomatoes, ancho chili powder, cumin, oregano, corn, black beans, pinto beans, water, vegetable broth, and salt & pepper. Cook on low for 8 hours. Garnish with cilantro. Stack tortillas and cut in half, then cut into strips. Lay tortilla strips on baking sheet and spray both sides with olive oil spray and season with salt. The prep work for this recipe can be done ahead of time! Roast the peppers and dice the veggies the night before you want to serve this chili. Store them in air tight containers in the refrigerator. When you are ready to make this, add all ingredients to the crock pot and cook for 8-10 hours. Freezer friendly! Tortilla strips are not included in nutrition calculation or Weight Watchers SmartPoints calculation. October 28, 2016 at 11:56 am Yes, perfect for fall!! I hope you try it soon! Thanks so much for commenting Jackie! October 28, 2016 at 3:53 pm I've been on a veggie kick too!! Thanks so much for commenting Amanda! October 28, 2016 at 1:41 pm Using roasted veggies adds such a deep flavor to chili. Who doesn't love the easy use of a crock pot. October 28, 2016 at 3:54 pm Yes it does!! Thanks so much for commenting Candy! 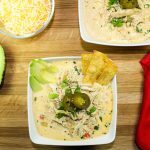 October 28, 2016 at 5:23 pm As a mom and busy woman I love slow cooker recipes and this is one I will be trying this weekend! October 31, 2016 at 9:39 am YES! I'm glad you appreciate the slow cooker as much as I do :). Thank you so much for commenting Pamela! October 28, 2016 at 8:36 pm This s will be great for my meatless days , thanks for sharing! 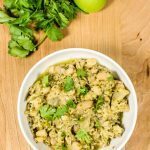 October 31, 2016 at 9:38 am Yes it's a great recipe for meatless days... I have meatless days a lot!! Thanks so much for commenting Trenara! October 28, 2016 at 9:14 pm I love trying different chili recipes in the fall....this looks amazing and I'm looking forward to trying it! October 31, 2016 at 9:37 am I hope you try this chili recipe soon!! Thanks so much for commenting Melinda! October 31, 2016 at 9:36 am I hope you try it soon! Thank you so much for commenting Veronika! October 29, 2016 at 11:15 am No beans in chili?! What a crazy idea those Texan's have ;) I agree with you 100% beans and chili go hand in hand no doubt. October 31, 2016 at 9:35 am I know Kortney... it's crazy! I'm just the rebel Texan that likes beans too much :). Thanks so much for commenting! October 29, 2016 at 5:13 pm We have chili multiple times a month in the fall. 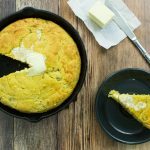 I love that you added butternut squash to this recipe!! October 31, 2016 at 9:35 am Me too... I LOVE chili!! Thanks so much for commenting Chrissa! October 30, 2016 at 1:24 pm Roasted peppers are one of my favorite things! I am definitely making this soon! October 31, 2016 at 9:25 am I love adding roasted peppers to dishes too! Thank you so much for commenting Kim!